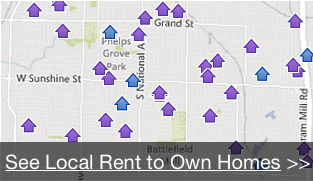 Rent to own in Utah is a perfect solution in a soft real estate market for someone wanting to buy a house. It starts with a seller who knows he wants to sell a property he is no longer living in. He also realizes the market just took a hit and he really doesn’t want to get less than what he thinks he could three to five years from now. Well, John, you can. It’s called rent-to own. Now that is the seller’s idea. But what about the buyer? Why would anyone want to gamble on paying more than a property might be worth in the future? Sally meet John. This is the start of a beautiful rent to own relationship. Both parties have a reason to not pull the trigger today. John’s is money; he wants more of it. Sally has a strong desire to buy and has enough income to pay the monthly obligation, but other components of her financial situation don’t make her an ideal candidate for a traditional home mortgage. 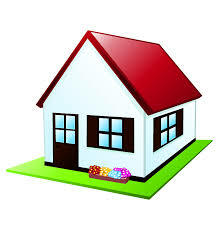 The beautiful thing about rent to own rules is that they are completely negotiable. There are some standard components to follow. But the dollars are not set in stone by any template. So Sally and John meet. Sally knows that homes in the area are selling today for $250,000. She can afford $1,300 monthly rent with her job and child support but she doesn’t have even a low 3.5% for a down payment. While she can’t come up with $8,750, she can get $3,500 for an option to purchase the house. John is actually okay with this as long as he knows the rent and expenses are paid on the house and he will get $287,500 when the sale actually happens. The rent will have a 25% purchase fee so instead of $1,300 per month and quarterly maintenance fees of $200. Sally will have to pay $1,625 every month plus and additional $800 yearly to rent with the option to own. Sally thinks about this, realizing she will save time and money on moving twice. Her daughter will be in the school she loves and Sally expects her job will promote her in six months giving her more to save toward the eventual purchase. She is building equity before she even owns the property and gets to enjoy living there in the meantime, making it home. If for any reason during the option period, Sally feels she doesn’t want to live there, she can walk away from the deal. Of course, she can’t think of anything that would cause her to want to move away, but you never know and it’s nice to have the option. John is happy because he knows he’ll get the property price he really wants. If the housing market booms in the next few years, growing 20 percent, he might kick himself. But this is the one gamble he takes. If Sally walks away from the option or can’t refinance, his expenses have been paid, he keeps the option money and sells the house. Plus he likes Sally and her girl and hopes they have the same happiness and success that he and his family did in the home. Sometimes, it’s nice to pay it forward in a way that everyone wins. Give us a call at (801) 447-1700 or fill out our online form now!